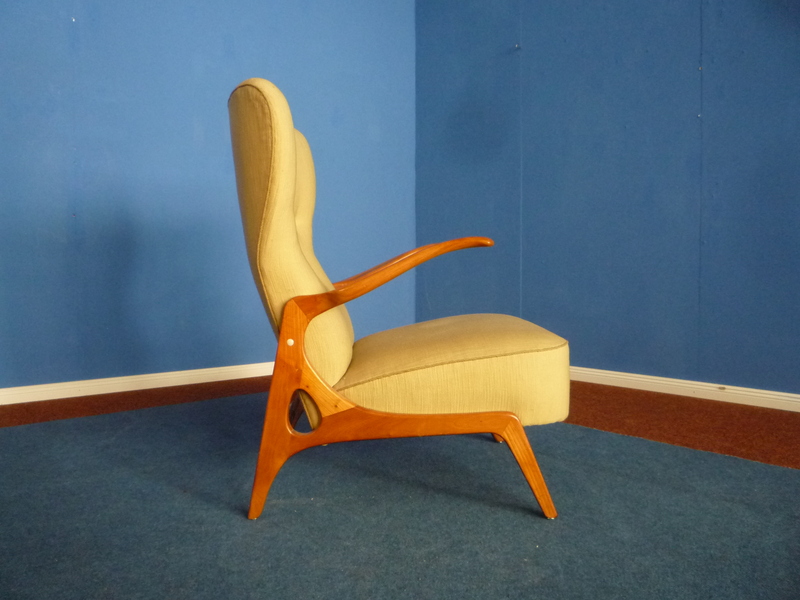 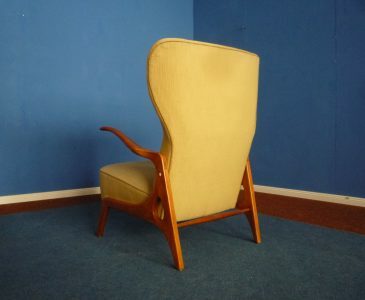 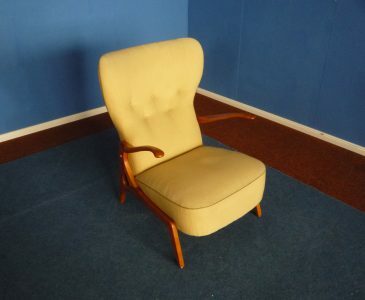 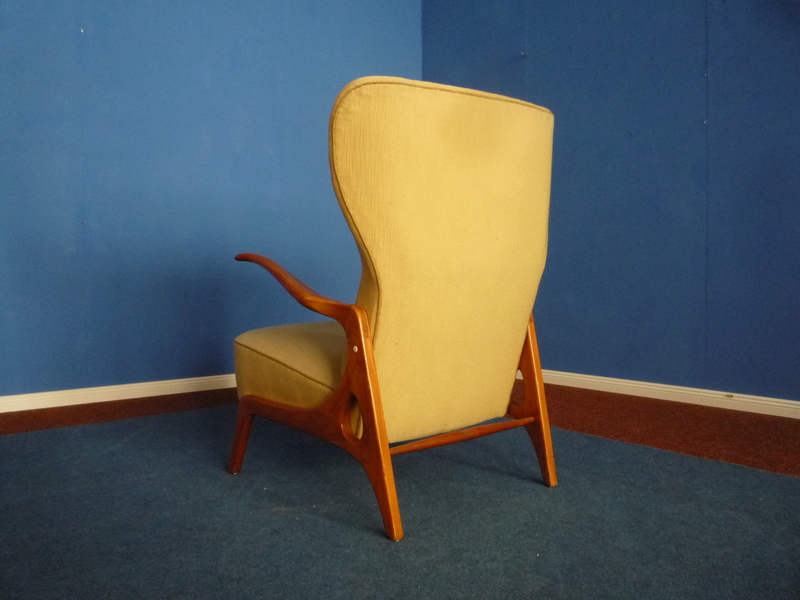 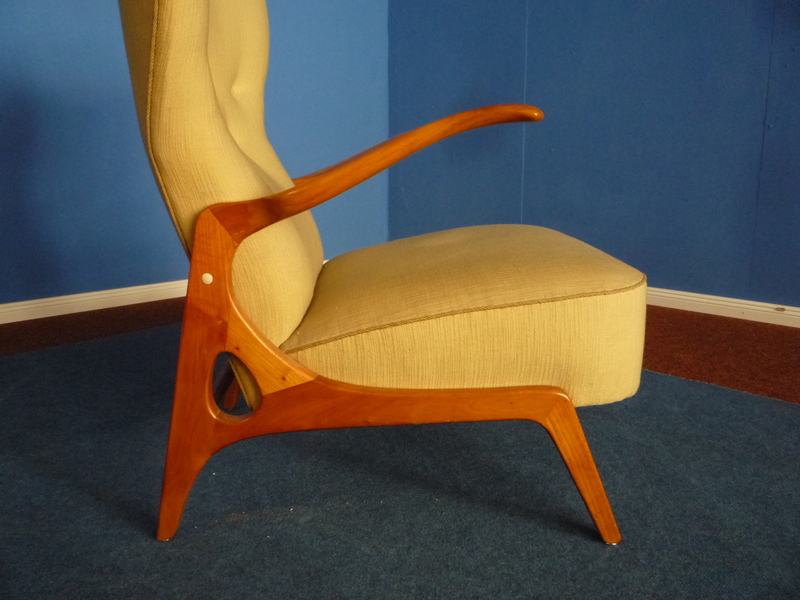 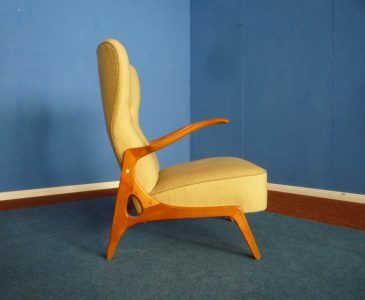 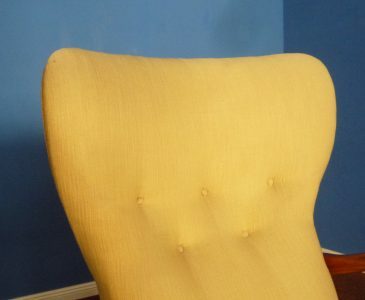 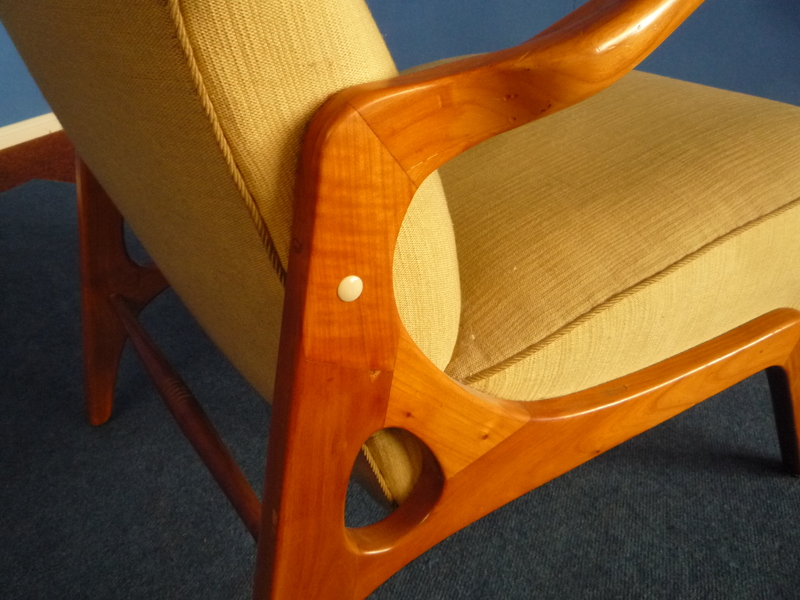 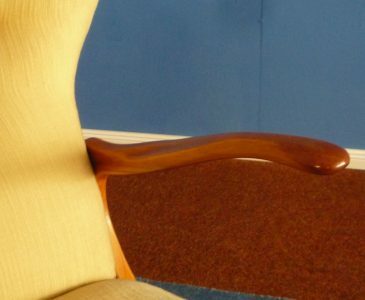 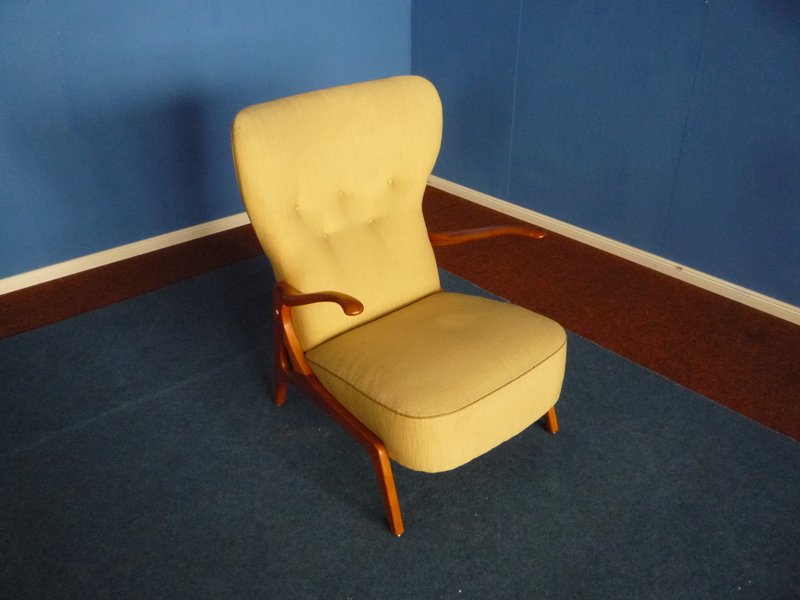 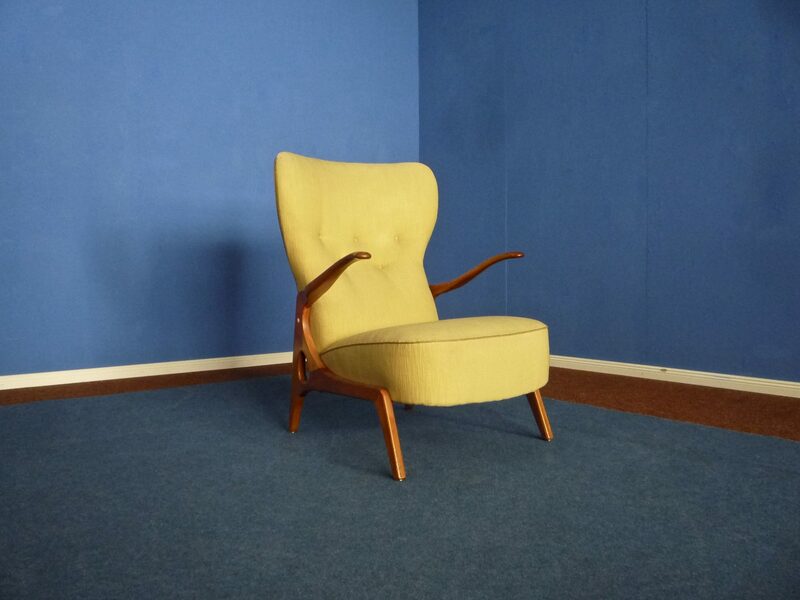 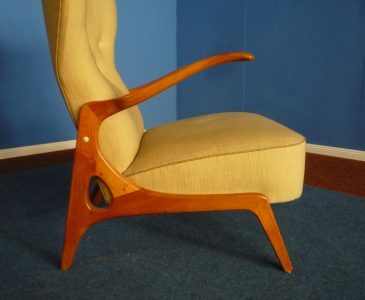 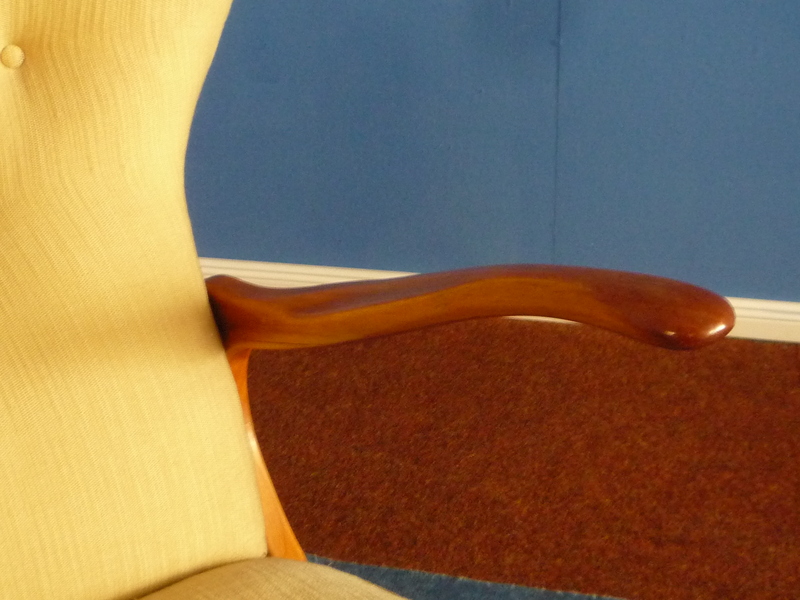 Very elegant and rare Wingback from the fifties. 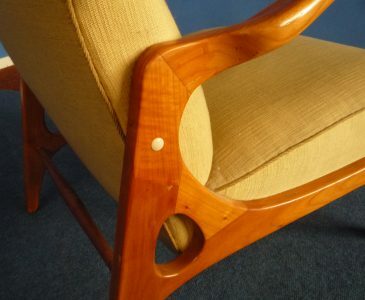 Beautiful and organic design. 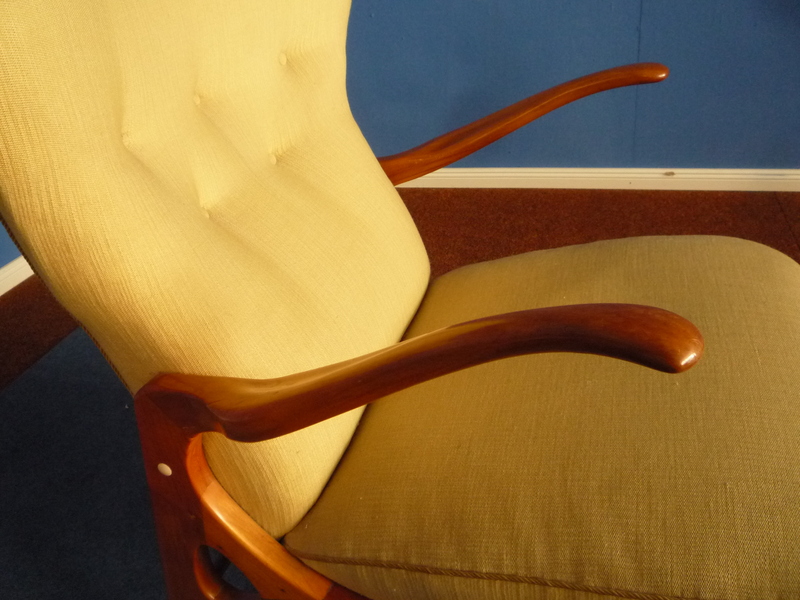 Good to very good original condition. 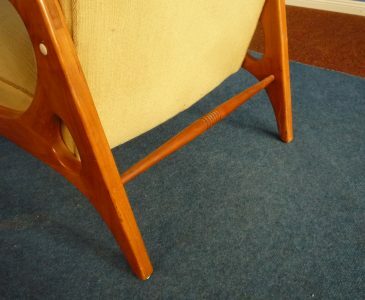 Minimal signs of wear on the massive cherry wood frame. 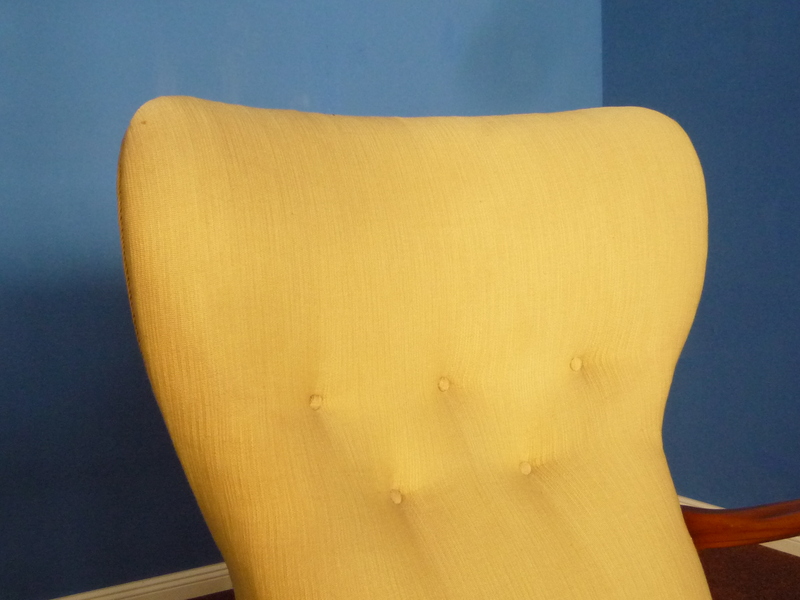 Very light whitening on the pastel yellow fabric cover. 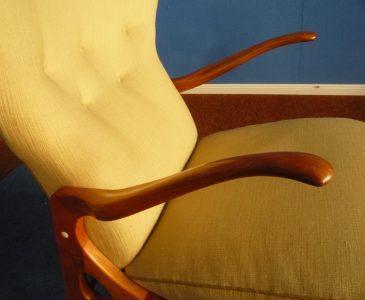 The chair is Clean, stable and comfortable.